Research published in the American Physiological Society investigated whether higher levels of a protein called glial cell line-derived factor (GDNF) will help fight weight gain, belly fat, and health problems caused by eating the wrong foods. A report in the Journal of American Medicine (JAMA) suggested more than one-third (34.9 percent or 78.6 million) of adults in the United States are obese. 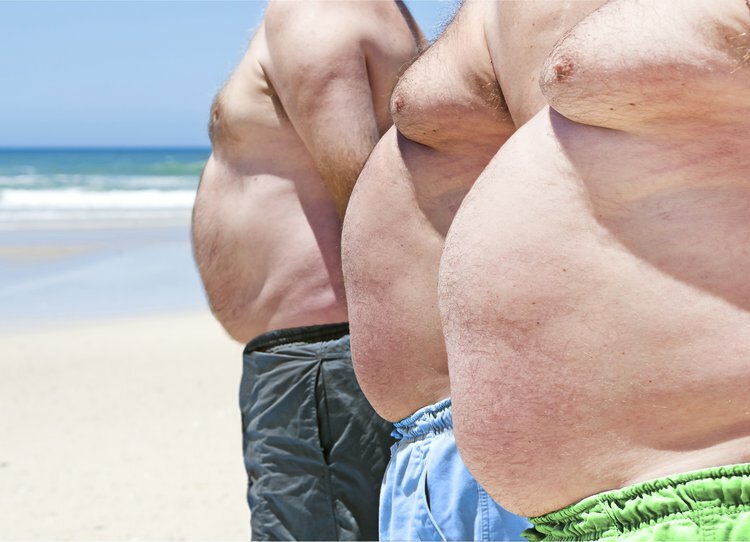 Obesity along with high blood pressure, high cholesterol, diabetes, insulin resistance, and belly fat can increase the risk of heart disease, stroke, type 2 diabetes, and various forms of cancer. GDNF is an important protein that helps nerve cells develop and survive. The protein also aids in a host of other body functions like digestion, kidney development, and muscle control. Previous research found that increased levels of GDNF in rodents and primates led to weight loss in age-related obesity and the prevention of weight gain in younger animals. In a new study, Simon Musyoka Mwangi and colleagues looked at how an increase of GDNF might affect obesity caused by a high-fat diet. The researchers compared mice with higher GDNF levels with controls. The mice were fed either a regular diet containing six percent fat or a high fat diet containing 34 percent fat. A glucose tolerance test was performed ten weeks after the start of the study. They found that mice with higher levels of GDNF resisted weight gain, stomach fat development, insulin resistance, fatty liver, and high blood fat levels. More experimental studies must be conducted to investigate why this happens. However, data from this study advocates that the cause may be from increased calorie burning in both brown and white fat cells and muscle tissue. The research brings us one-step closer to practical targets in obesity prevention and treatment. Mwangi, S. M., Nezami, B. G., Obukwelu, B., Anitha, M., Marri, S., Fu, P., ... & Srinivasan, S. (2014). Glial cell line-derived neurotrophic factor protects against high-fat diet-induced obesity. American Journal of Physiology-Gastrointestinal and Liver Physiology, 306(6), G515-G525. Ogden, C. L., Carroll, M. D., Kit, B. K., & Flegal, K. M. (2014). Prevalence of childhood and adult obesity in the United States, 2011-2012. Jama, 311(8), 806-814. Pichel, J. G., Shen, L., Sheng, H. Z., Granholm, A. C., Drago, J., Grinberg, A., ... & Westphal, H. (1996, January). GDNF is required for kidney development and enteric innervation. In Cold Spring Harbor symposia on quantitative biology (Vol. 61, pp. 445-457). Cold Spring Harbor Laboratory Press. Henderson, C. E., Phillips, H. S., Pollock, R. A., Davies, A. M., Lemeulle, C., Armanini, M., ... & Vandlen, R. A. (1994). GDNF: a potent survival factor for motoneurons present in peripheral nerve and muscle. Science, 266(5187), 1062-1064.